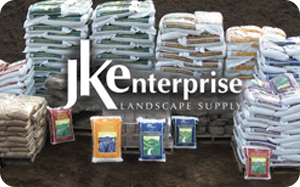 JK Enterprise Landscape Supply is introducing an exciting new program for school athletic departments, non-profit organizations, or any organization that needs help raising funds. 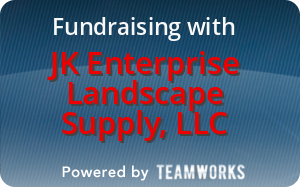 We believe we have the best program to help organizations maximize their fund raising efforts. Call 703-352-1858 (Office) or Jake Klitenic at 703-928-7793 for more information. Our mulch has been aged to perfection, has a natural dark brown color which is in high demand, is rich in nutrients, and is produced locally. Our mulch is carefully selected from quality, clean, mixed hardwoods; therefore, your fund raising efforts help with environmental concerns since less material is sent to local landfills. The following program will help you maximize your fund raising efforts since most people in the community already purchase mulch for their homes. Why not tap into ready-made community funds and also help the environment? The information that follows describes potential fund raising ideas. We stand by ready to help you meet your goals. It is suggested you try to PRE-SELL the bagged mulch and collect funds up front before taking delivery of the first tractor trailer load to provide positive cash flow for your organization. A full tractor trailer load is typically 1020-1600 bags depending on the product (18-20 pallets per truck with 60-90 bags per pallet). Please provide us with at least one month notice when placing your order. Weekends book up fast in the spring, constant planning and communication is encouraged to ensure delivery. WHERE DO I HAVE THE MULCH DELIVERED? Your organization will need access to a parking lot that is big enough to accommodate a tractor trailer and store the mulch. It must also have enough space for your customers to pick up their mulch and for you to load trucks for your organizations deliveries. HOW ARE MY CUSTOMERS GOING TO GET THEIR MULCH? Distribution of the mulch is accomplished using a delivery service and via customer pick up. You will need volunteers with trucks and vans to deliver the mulch. Larger organizations may choose to rent a truck (flatbeds work best) to minimize the number of reload trips and a forklift to load it more efficiently. HOW MUCH MONEY WILL WE BE ABLE TO RAISE? Your organization will be able to profit as much as $1.50 per bag sold, depending on the service you offer. Offering delivery can really increase your sales. Many schools and Boy Scouts Troops have raised as much as $20,000. Our representative will work with your group to help you maximize your profits. WHAT PRODUCTS CAN WE SELL? 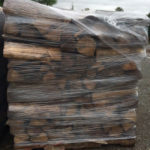 You can sell any of our bagged items; however, we do require you purchase at least a pallet of any particular product. We suggest that you offer the following products: double shredded mulch, cedar mulch, color enhanced mulch, top soil/compost , and potting soil.